According to an insider who is familiar with the situation, satellite television provider DirecTV and a pair of unnamed companies are each bidding more than $1 billion for video site Hulu. Hulu's board is believed to have received seven bids last week alone. The company is being advised by Guggenheim Partners and is owned by News Corp. and Disney. The inability to draw a decent price for the service forced the two media giants to break off talks with suitors back in 2011. That doesn't appear like it will be the case this time. The large numbers of buyers will be cut down over the next few weeks. 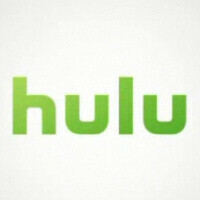 Hulu has 4 million subscribers for its free ad supported service and its subscription based service Hulu Plus. The latter offers more current fare. Speculation on the names of the other bidders has included Yahoo, which is no surprise considering that CEO Marrissa Meyer is looking to reshape the company. She's already bought Tumblr and is throwing cash around like it's Monopoly money. LBO Kings KKR are also said to be interested along with Time Warner Cable, Guggenheim Digital, and a group made up of Silver Lake Management and talent agency William Morris Endeavor Entertainment. Former News Corp. president Peter Chernin is also rumored to be amongst the bidders. He supposedly made a bid for the company back in 2011 valued at $500 million. Besides Disney and News Corp., Comcast is a financial owner in Hulu but is not allowed to make decisions involved with operating the company following the cable giant's acquisition of NBCUniversal in 2011. DirecTV spokesman Darris Gringeri and Hulu spokeswoman Meredith Kendall both declined to comment. If DirecTV wins the bid this means NFL game on Hulu, I'm in. Probably only if you have Prime Ticket Package with direct tv.